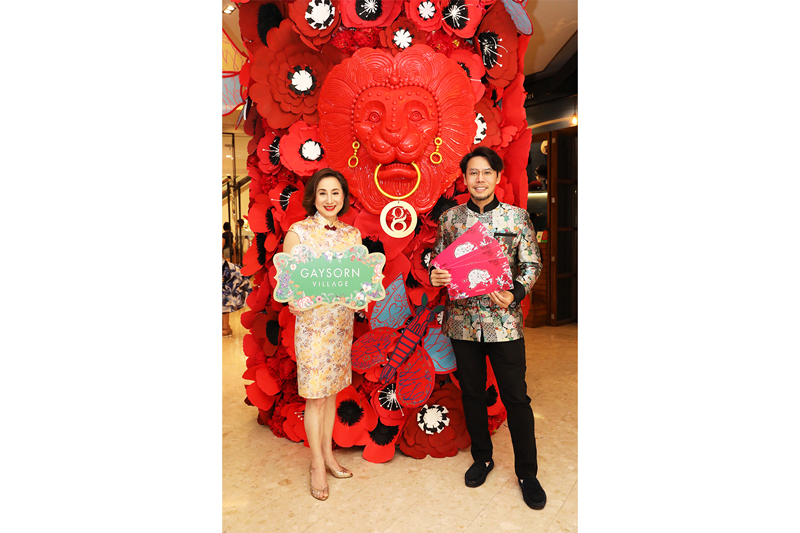 GAYSORN VILLAGE the first and only “Urban Lifestyle Village” in Thailand led by Korakot Srivikorn, Executive Director and Jirath Vattanapataraset, Executive Vice President of Marketing at GAYSORN VILLAGE, will host “GAYSORN CHINESE NEW YEAR 2019”. 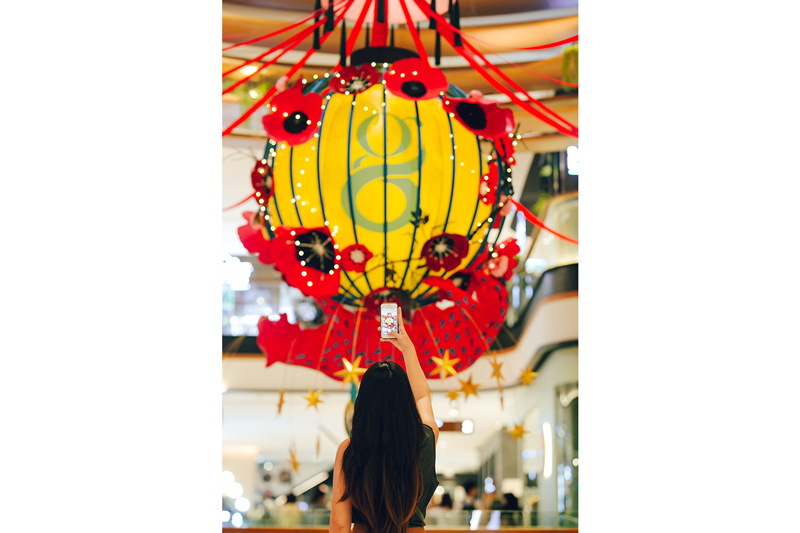 This wonderful Chinese New Year celebration welcomes a new year with an exclusive campaign guaranteed to meet today’s lifestyle community. Enjoy exciting RETREAT ๏ EAT ๏ ART promotions. For any spending of 800 Baht, receive a set of red envelopes. Spend 8,000 Baht to receive a free tote bag, and 80,000 Baht to enter the “Lucky Ang Bao” lucky draw for a chance to win wonderful gifts from leading brands in Gaysorn Village. Indulge in a stunning array of delicious and healthy food dishes made especially for the grand occasion. As the Gaysorn Village is home to tasteful curation of art, they have invited young and talented illustrator, Phannapast Taychamaythakool, to beautiful animal decorations that adorn the entirety of Gaysorn Village, from 1 – 18 February 2019. 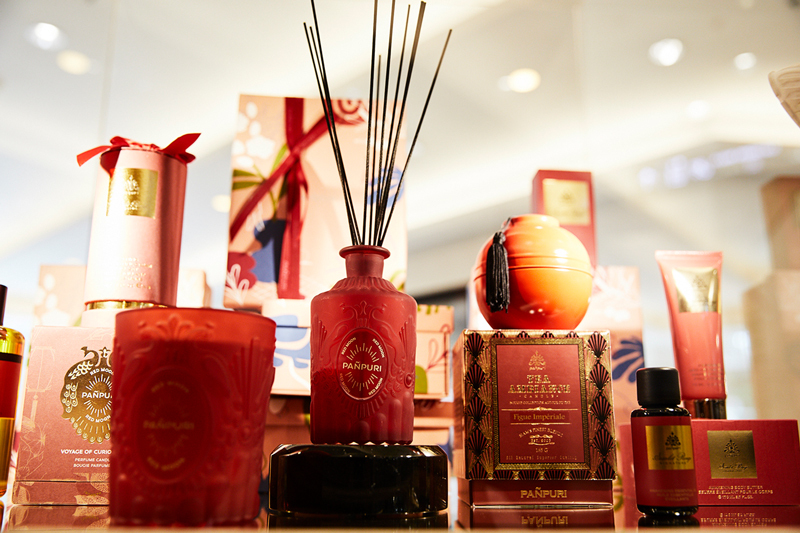 JURLIQUE, the Australian skincare brand, joins in on the festivities to deliver a fresh outlook on life during the Chinese New Year with the limited-edition Activating Water Essence in special rose and peony packaging. Symbols of good fortune, this special product with a concentrated formula adds to the natural radiance of the skin. LA VIE DETOX & WELLNESS CENTER, the health and anti-aging medical center emphasizes on rejuvenation of the body from within wishes to offer a special Chinese New Year gift to you: The Total Relaxation Massage. This aromatic oil massage uses radio frequency to relax muscles and alleviate pain while stimulating blood circulation at a special CNY price of just 2,800 Baht from 1 to 18 February 2019. MUNIQUE BY MURAD, The Exclusive Natural Beauty Club inspires great beauty from inside and out with the Energy Recharge treatment to strengthen your hair and scalp. This specialized treatment reduces fatigue and stress and stimulates blood circulation to the head, using pure Argan Oil and a signature theraputic massage technique innovated by the MUNIQUE CLUB at a very special offer of 3,640 Baht. 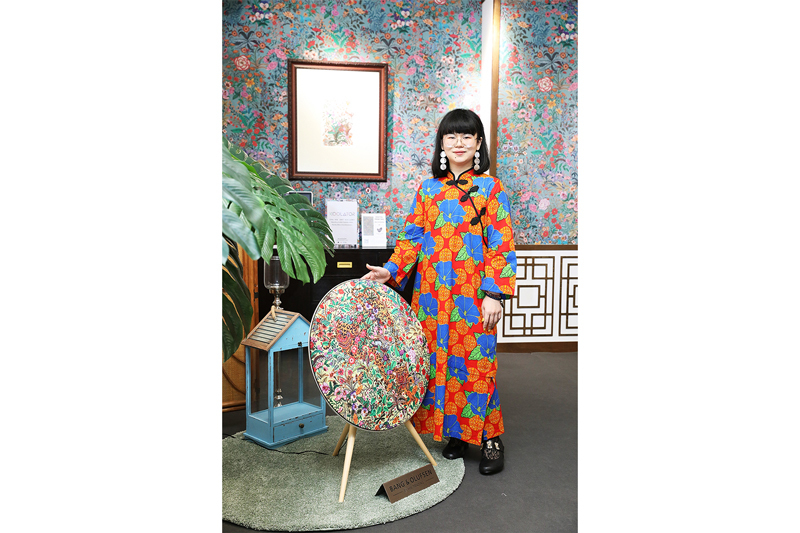 Many other leading beauty brands including PAÑPURI, THANN, will also join the Chinese New Year festivities with special promotions of their own. 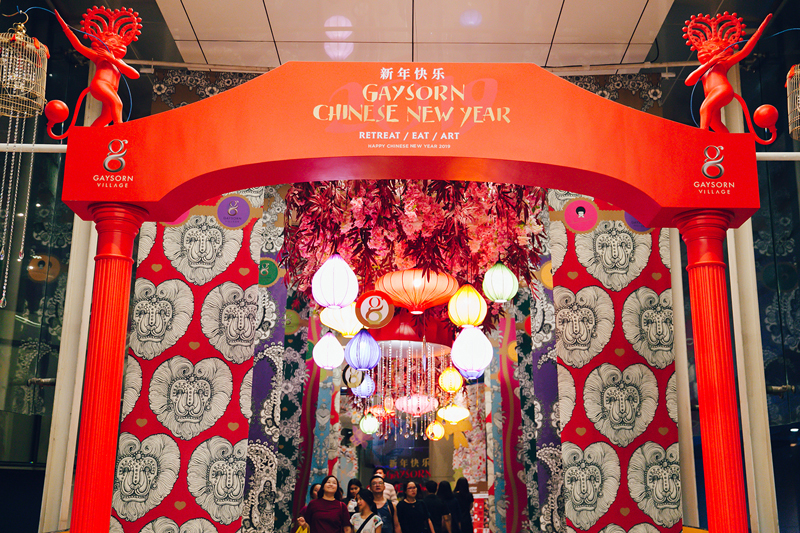 Eating delicious food over the Chinese New Year helps bring friends and family together at the Gaysorn Food Village. Explore the extensive range of the Gaysorn Food Culture to taste many auspicious and deliciously created dishes for this special event at popular restaurants in Gaysorn Village, such as 1823 TEA LOUNGE by Ronnefeldt and KUB KAO’ KUB PLA. Don’t miss the brand new restaurant Ginza Tenharu, an original tempura omakase straight from Japan. 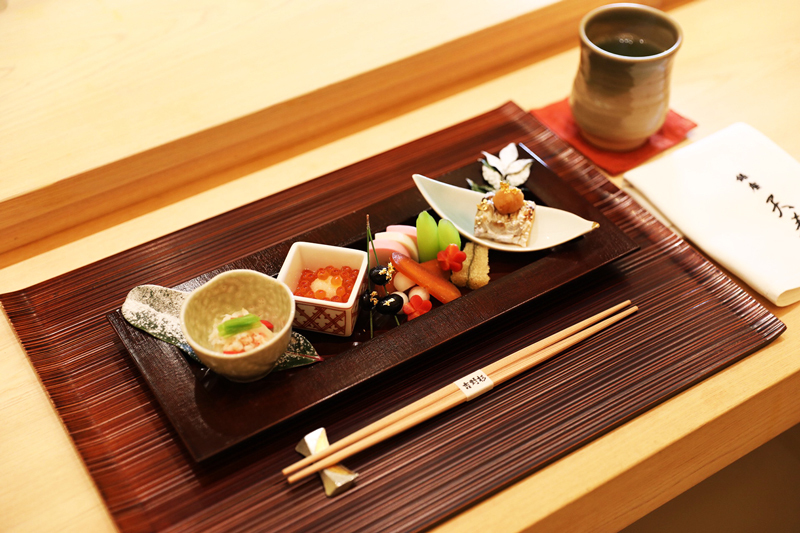 Using only the finest ingredients imported directly from Japan daily, enjoy a delicately prepared meal omakase style to promote healthy and happy living this coming year. Symbolic in nature, the ingredients used in each dish usually have auspicious names or meanings, like the appetizer “Oshuogatsu Ryori”, made from black beans which conveys peace and health. 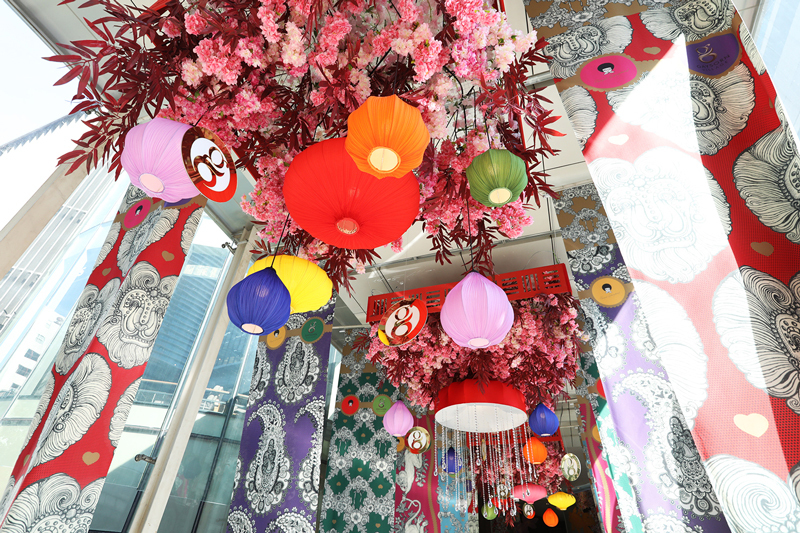 Fish roe refers to bountiful fertility, while the Plum flower carved from carrots signifies joy, good fortune, and longevity. Kamaboko is the symbol of the rising sun, the red being auspicious and the white suggesting purity. 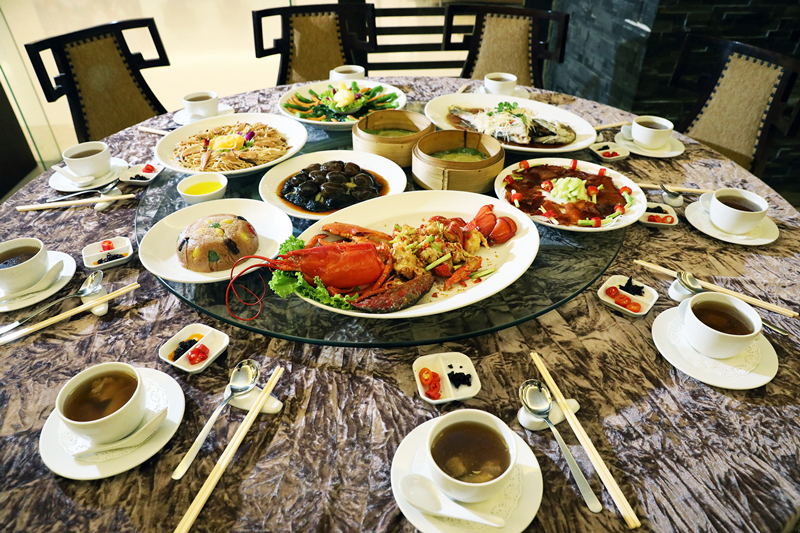 Another restaurant not to be missed is XINN TIEN DI, one of the most popular Chinese restaurants in Bangkok. XINN TIEN DI is serving up healthy goodness with 8 special nutritious menus that are also packed with auspicious ingredients as well. 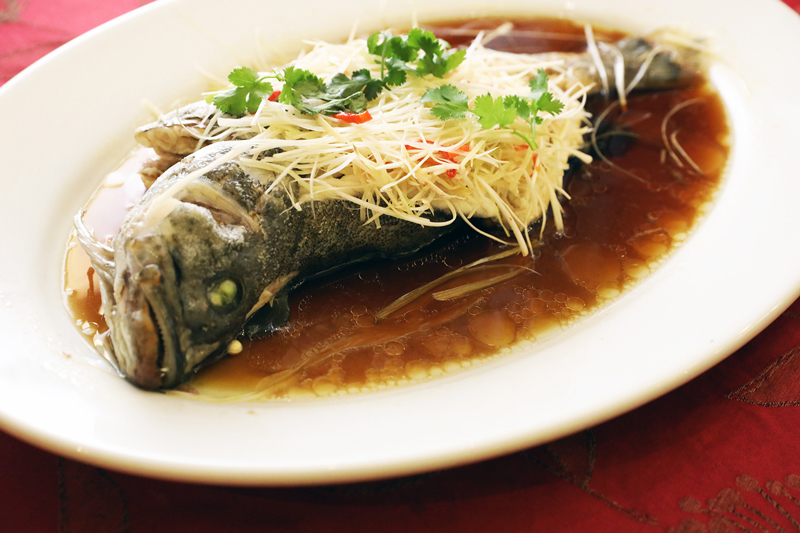 Beginning with STEAMED OR DEEP FRIED GAROUPA IN HONG KONG STYLE, made with large garoupa hand-selected by the chef and steamed to perfection to draw out the natural sweetness of the fish. Fish is the best source for protein and also signifies abundance. 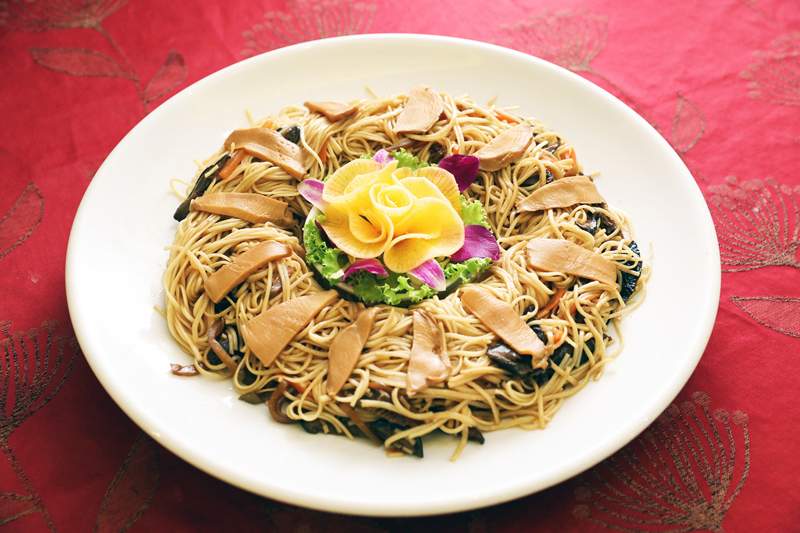 Next, BAKED ABALONE WITH NOODLE, includes colorful vegetables with properties that help fighting cancer— a blessing of longevity and fortune all in one dish. 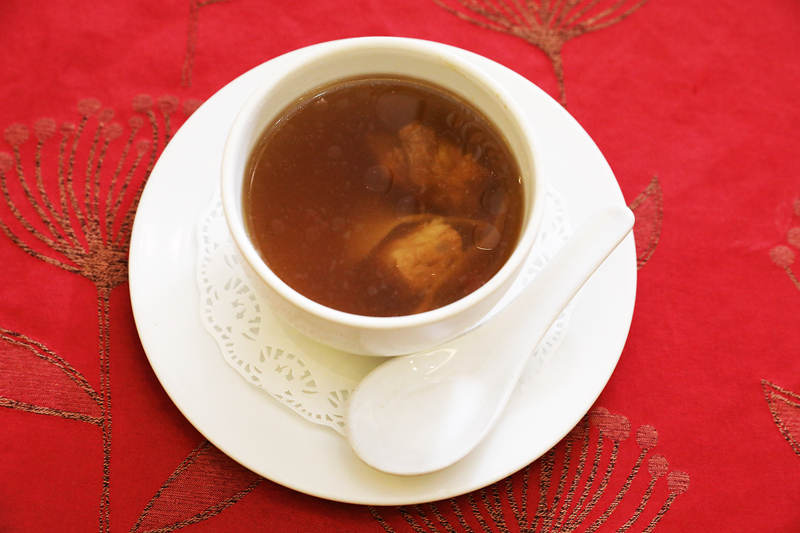 Another standout dish is the DOUBLE CONSOMME CONCH SHELL AND BOILED PORK. The conch shell offers just the right amount of chewiness and mixes well with fragrant Chinese herbs that have many health benefits like cinnamon, star anise, and dong quai. 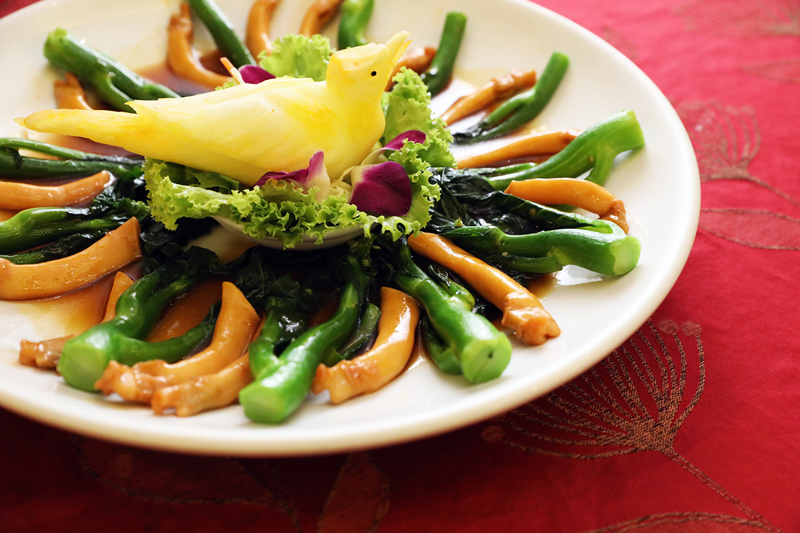 The STIR FRIED SHELL SEA ASPARAGUS WITH OYSTER SAUCE is filled with vitamin A and protein from the appetizing shellfish and conveys wealth and fortune. 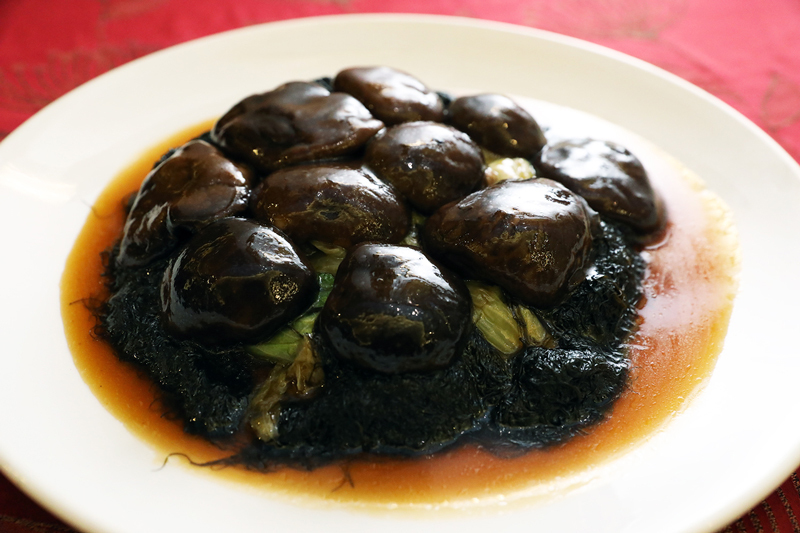 Followed by SAUTEED LETTUCE WITH BLACK MUSHROOM AND SEA MOSS that combines all the best ingredients for anyone who cares about their health. This dish is topped with a red sauce, a special secret recipe, to symbolize auspice, wealth and progress. Another highlight dish is ROAST WHOLE PEKING DUCK to celebrate the abundance of life with succulent Peking duck with crispy skin. 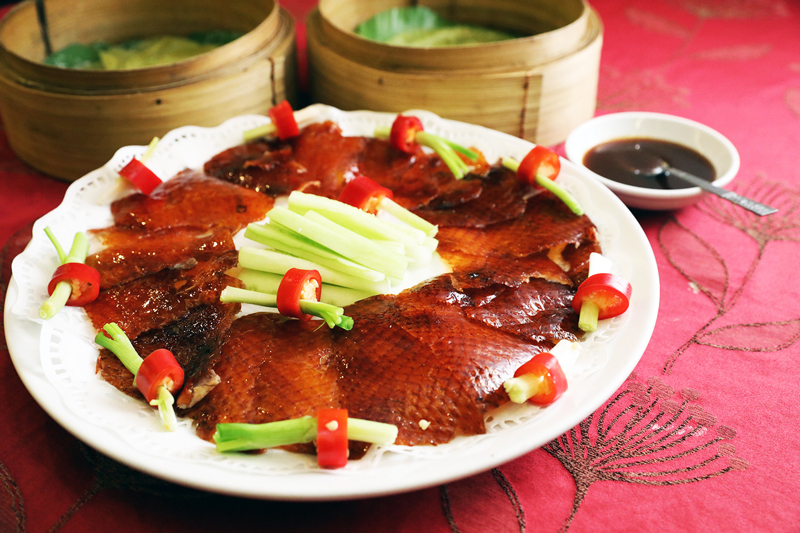 The ducks were raised using a special method called “Tian Ya” to make them plump and juicy. 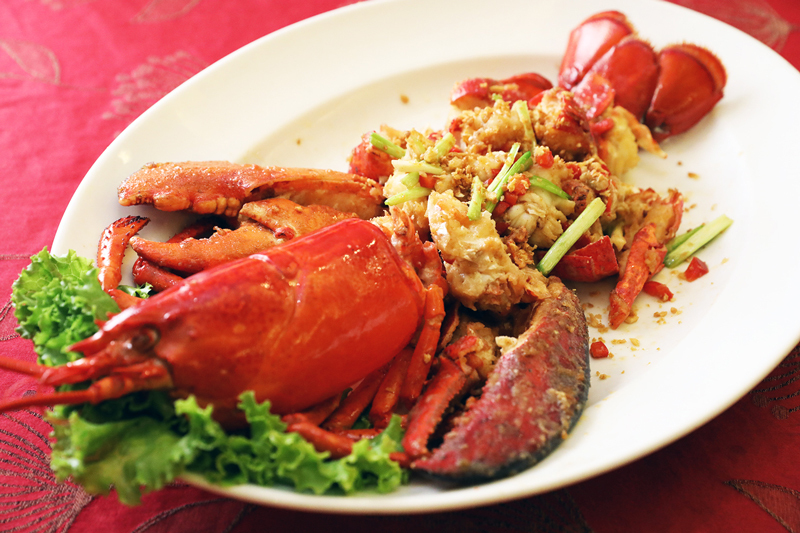 The mouthwatering SAUTEED LOBSTER WITH SALT AND CHILLI is symbolic for luck with the job to help you get the rank and post that you desire in life. 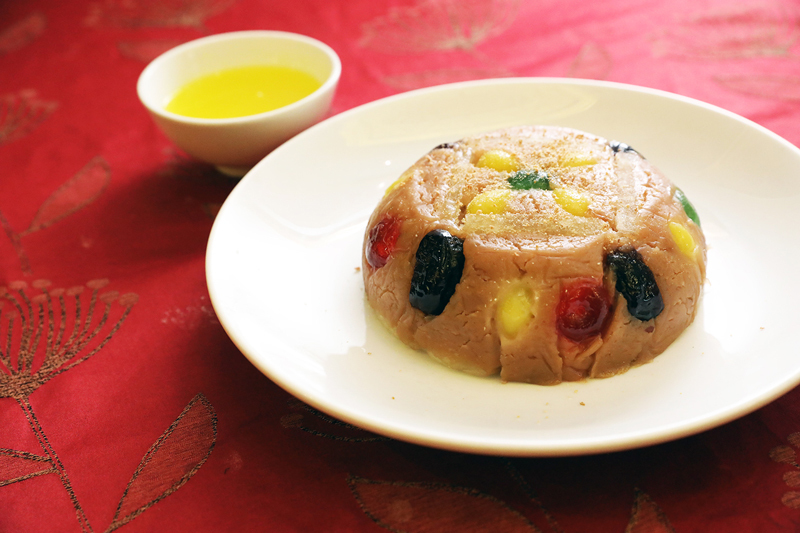 End the meal on a sweet note with STEAMED STICKY RICE, TARO WITH SUGAR SYRUP, an auspicious Chinese menu typically eaten at celebrations to bless the family with many children and grandchildren who support each other and together bring success. 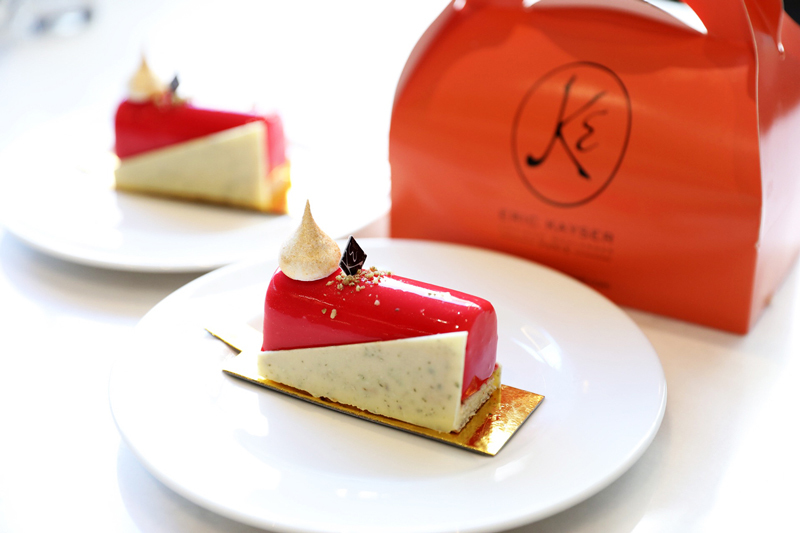 The French artisan bakery ERIC KAYSER has even created the Lucky Express with a soft creamy texture, made with chestnut seeds and pumpkin seeds to signify prosperity and wealth on New Year's Day. 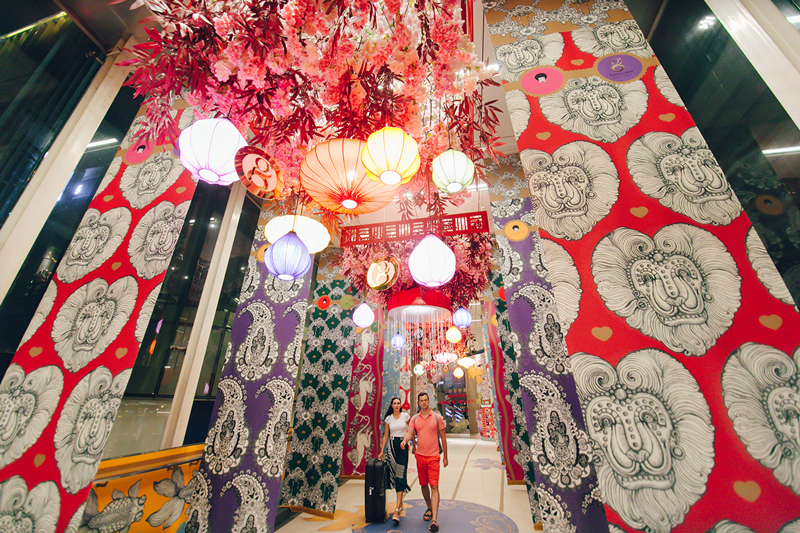 Gaysorn Village invites shoppers to celebrate with engaging art activities like the vibrantly creative art exhibition by Phannapast Taychamaythakool. This up and coming young Thai artist is best known for her unique drawing style. 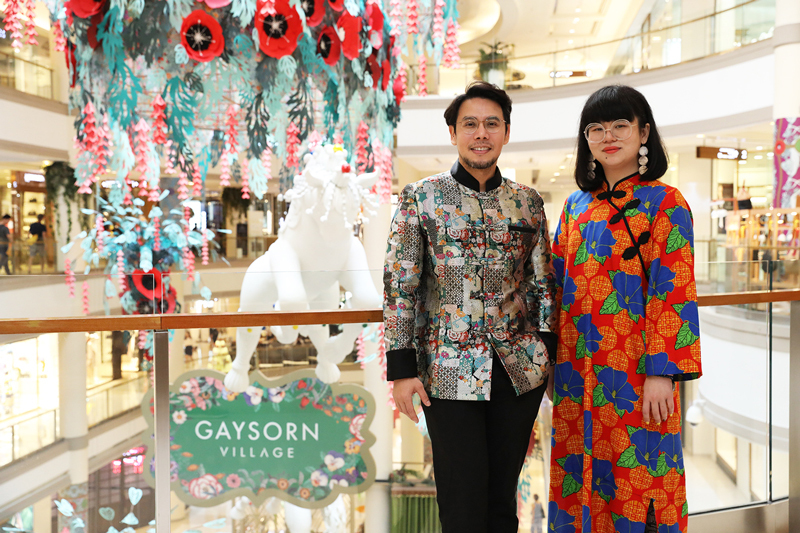 She has collaborated with some of the most renowned fashion brands from around the world and is now bringing her touch to the Retail Theatre at the Gaysorn Village. 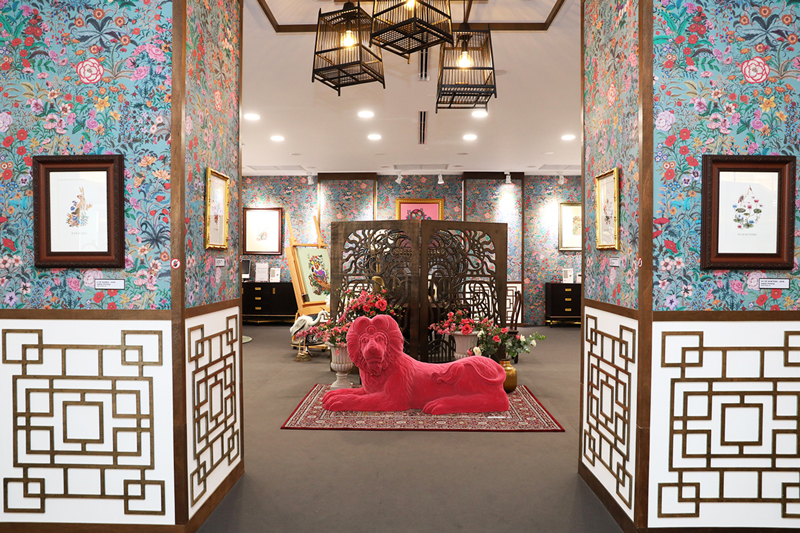 Come witness a lively and charming animal menagerie brought to life through the works of Phannapast and enjoy the merging of both Thai and Chinese cultures. 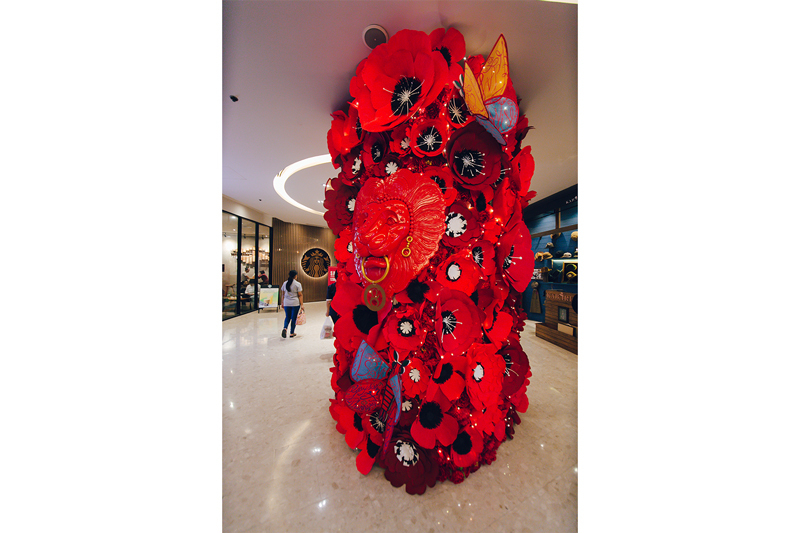 Phannapast dresses Gaysorn Village up in bright colors to welcome the Chinese New Year her exhibition, “Only For You” with the “The Meadows Universe” concept. Phannapast’s work is inspired by love, family and blessings. She sees prayers as dreams and imagination that power real life. 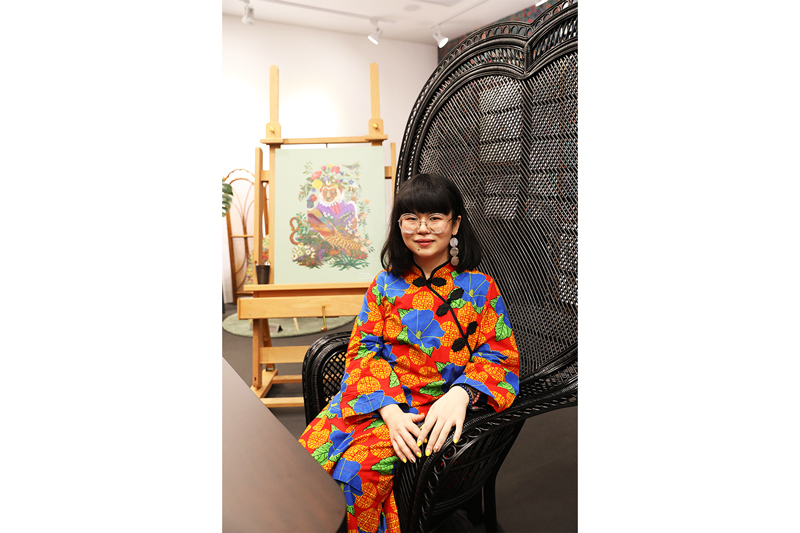 She is also inspired by a book by world-renowned Taiwanese writer and illustrator Jimmy Liao who once wrote, “Dreams make humans beautiful.” This solo exhibition is like a flower garden that blooms in the heart. 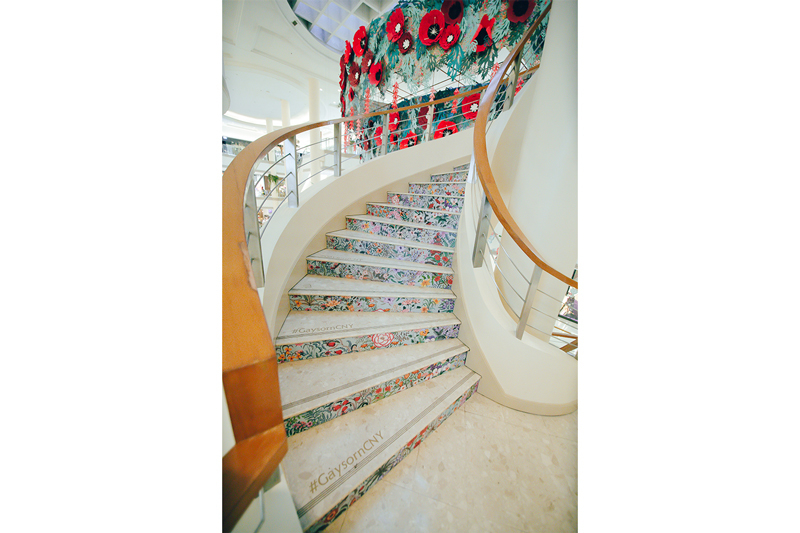 It conveys inner feelings and how one tends to grow the flowers so that they would thrive endlessly. 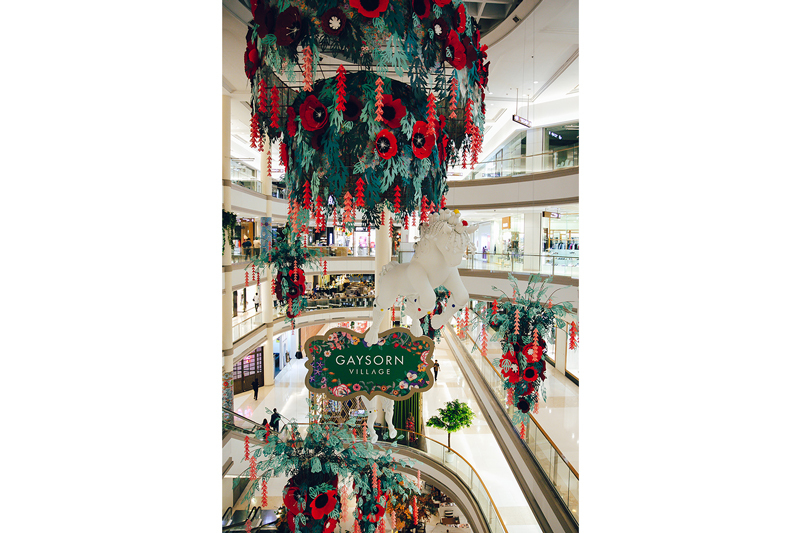 Besides this exhibition at The Galerie on the Ground Floor of Gaysorn Centre from 23 January to 31 March 2019, Phannapast has also designed Lucky Animals to decorate the Gaysorn Village. 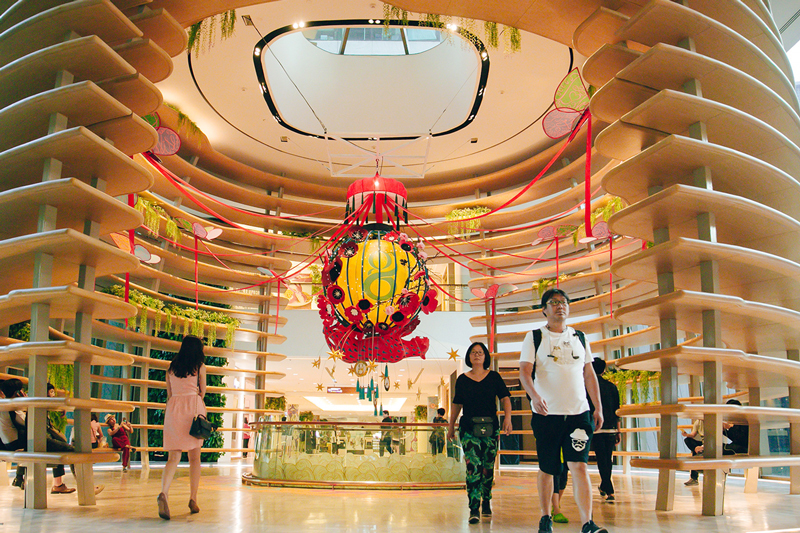 At the second-floor entrance from BTS Skywalk, a glorious school of goldfish (The Wanderer) welcomes you to a lucky future, the animal believed to continuously bring gold and money for all. The goldfish are joined by monkeys, the symbol of good mood and intelligence. Monkeys are nimble and can grab onto anything which is reminiscent of the Chinese Lottery Poet, Kau Chim, who said “Take a chance! If you win, you will be happy. If you lose, you will be wise.” As she believes that once we make a decision, there is always something good that results. Adorned and decorated in the midst of flowers beautifully woven with bees, the symbol of freshness and friendship. 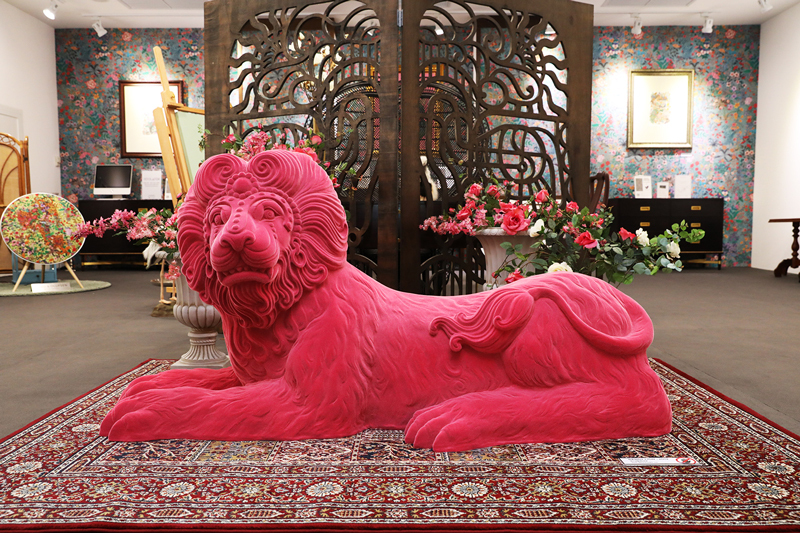 On the Gaysorn Terrace, the “Dandy Lion” with a heart-shape mane greets visitors. 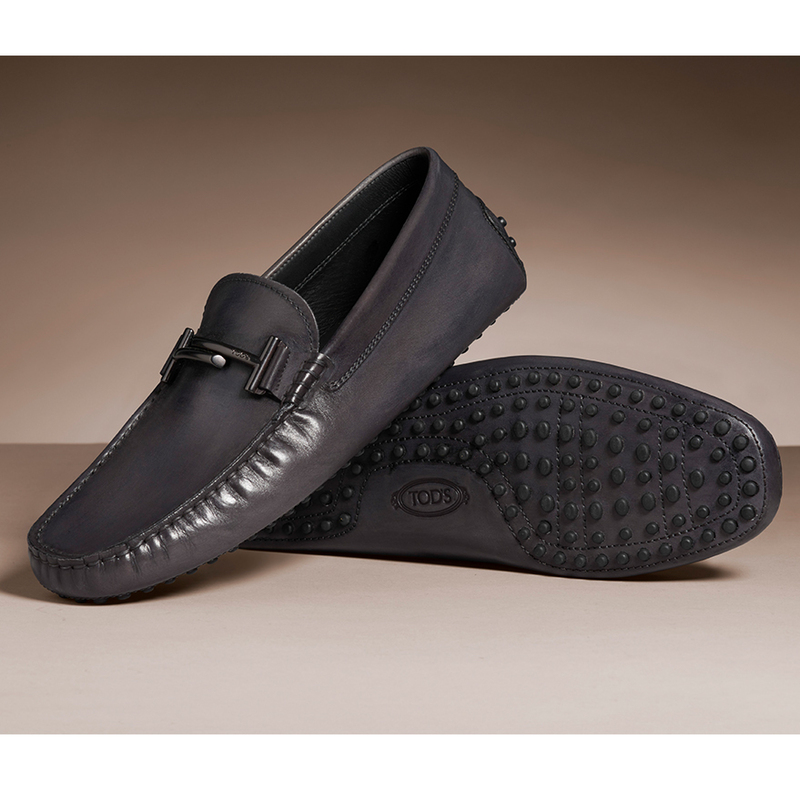 The Dandy Lion is inspired by the tarot card “The Strength” reinterpreted as the confidence that comes from self-love. 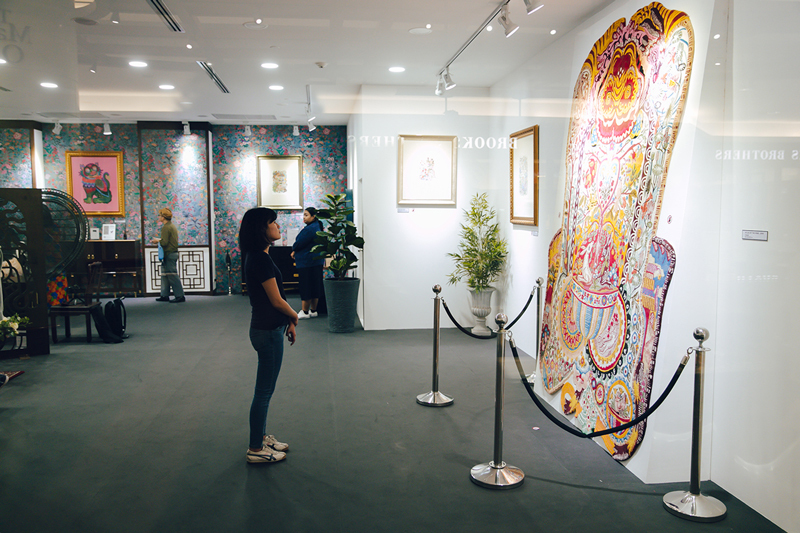 The signature Gaysorn Cocoon has been transformed to The Moon Room decorated with a giant chandelier that tells the story of the moon that we pray to. Butterflies that symbolize luck and Leopards that signify strength have pulled the moon down closer to us so humans on Earth can pray to it. The moon is a metaphor for hopes and dreams. 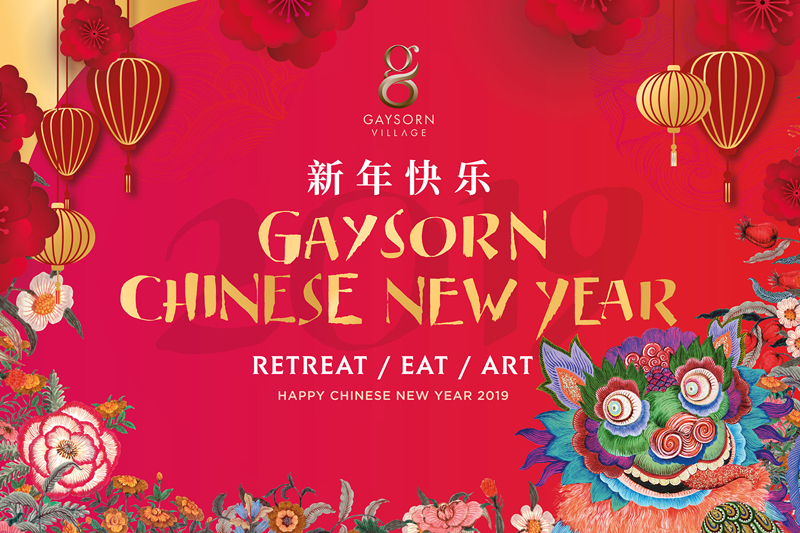 The messages are profound and with every step, guests to the Gaysorn Village can discover a wonderful meaning in everything. 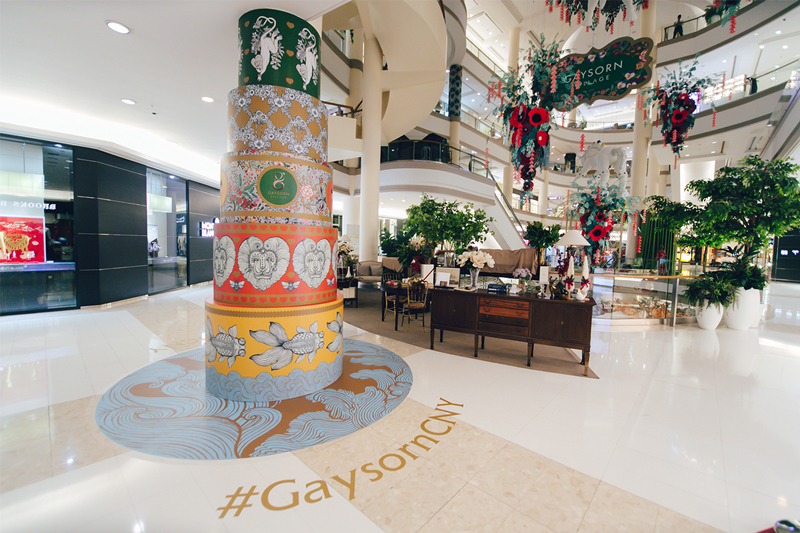 The most spectacular area in Gaysorn Center is the Gaysorn Atrium, decorated with rainbow flags, a symbol of sunlight that signifies a new day and the power of luck for Chinese people. The Sun Room features a white horse named “Phoebus” that represents the hope from the sun that provides us with positive energy. This energy also makes the flowers in the garden in our heart bloom. Lastly, end with special promotions of this Chinese New Year Festival. For any spending of 800 Baht, receive a set of red envelopes specially designed by Phannapast Taychamaythakool herself (between 27 Jan – 5 Feb). 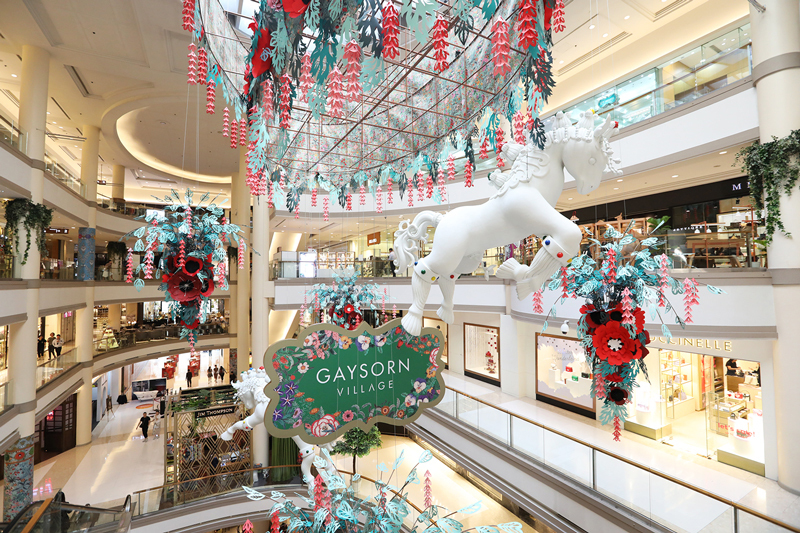 For any spending of 8,000 Baht, receive a free tote bag, and for any spending of 80,000 Baht, enter the “Lucky Ang Bao” lucky draw for a chance to win exciting gifts from leading brands in Gaysorn Village (from 1 – 18 Feb).